A luxury Italian manor brings visions of sumptuous high ceilings, grand windows, and opulent spaces. Architectural details abound as windows, walls, and ceilings compete for attention. This private luxury Italian manor house is situated in a rural area and is an exquisite combination of classic and contemporary styles. I was immediately drawn to the juxtaposition of colour and the restrained opulence. 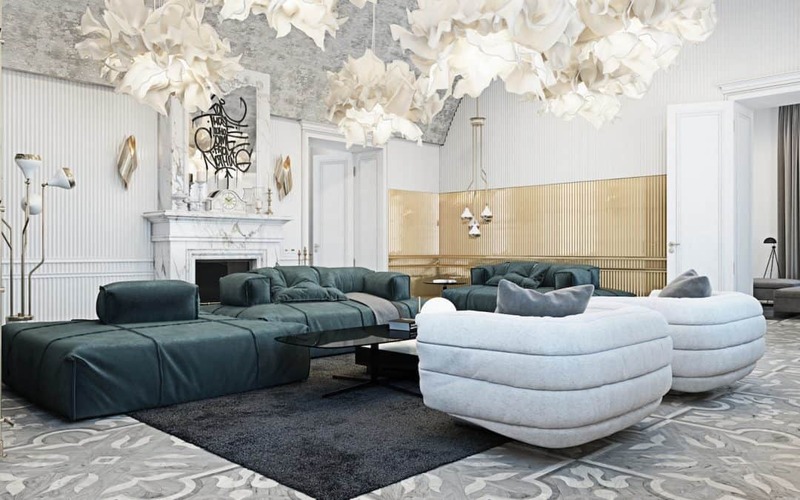 Clearly luxurious, this beautifully redecorated home doesn’t scream… it purrs. It knows it’s a knockout, so it can be calm and elegant in its confidence. 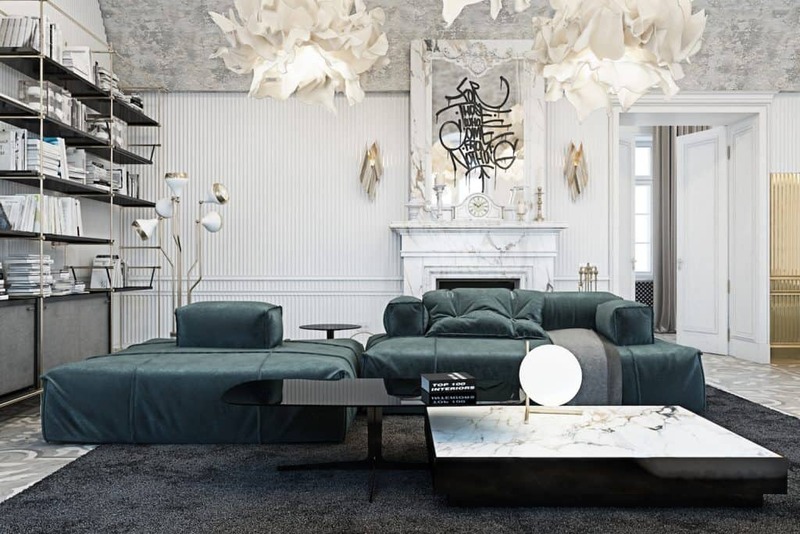 Lighting from Delightfull, Flos, and Hive takes precedence. Near the fireplace is the Hanna Floor Lamp. 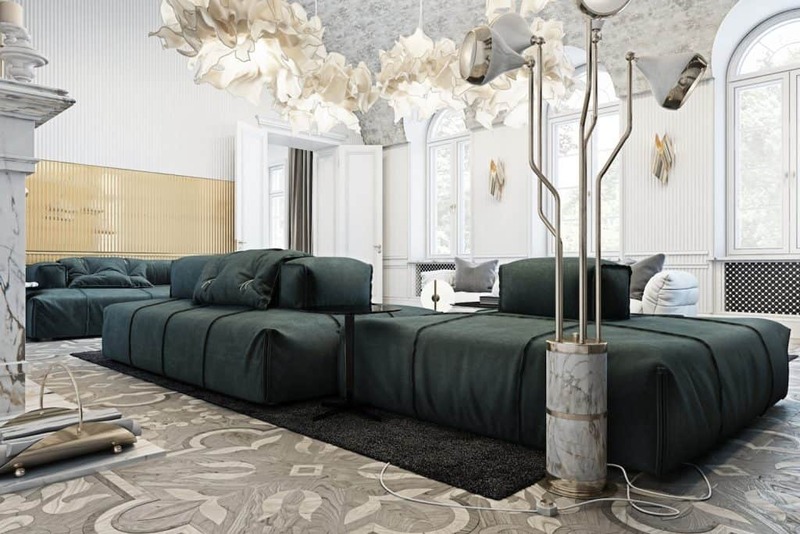 In the ceiling of the recreational space there is a combination with the Hanna Pendant Lamp which gives the room unique style. 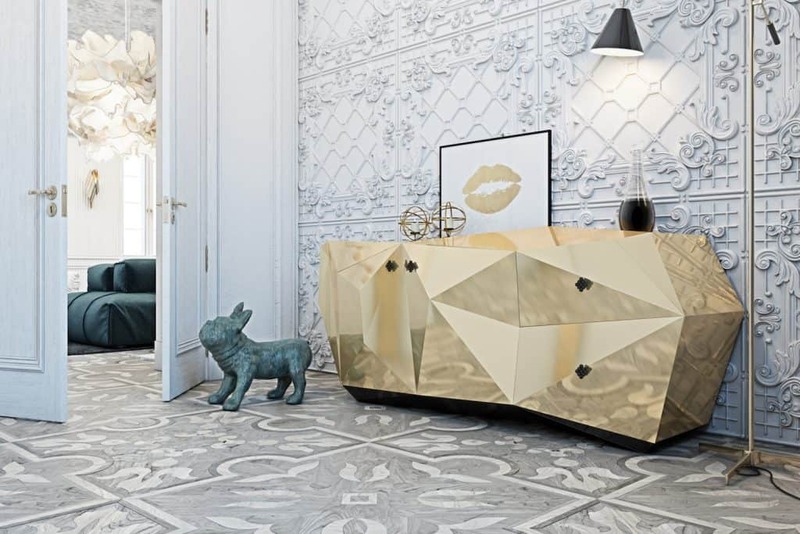 Ukrainian interior designers, Vitaliy Yurov and Iryna Dzhemesiuk from Diff. Studio have added a very modern patina to the history of the home. 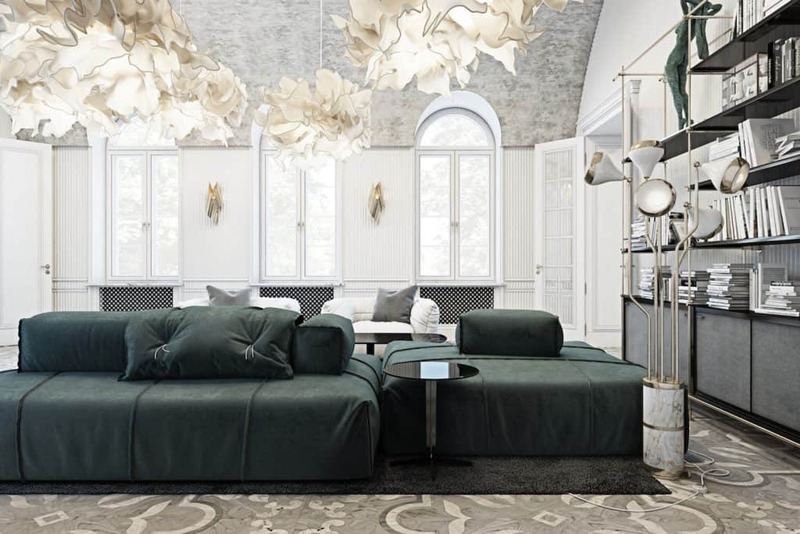 Bright and vivid colours, modern furniture, and unique lamps work with the historical elements turning this luxury Italian home into an incomparable interior design project. It’s unexpected and, in parts, unimaginable that the beautiful old architecture and impressive vaulted ceilings could create such a unique and unforgettable atmosphere. 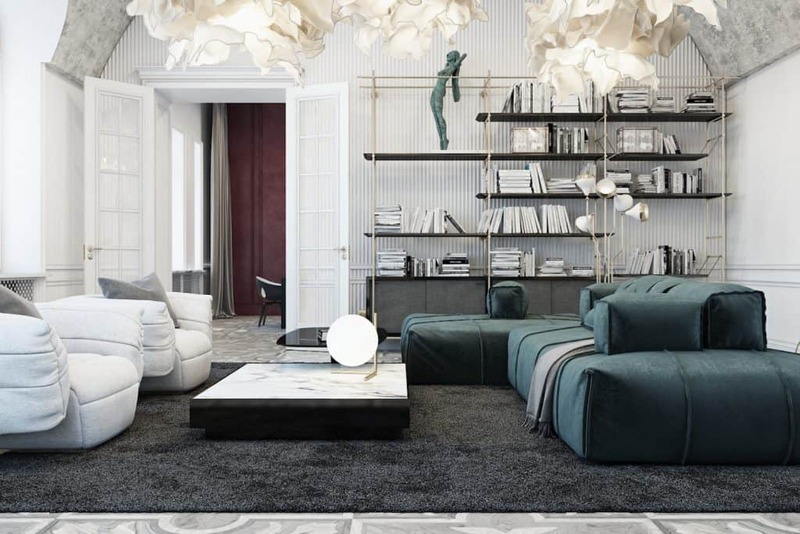 The home boasts furniture brands including Minotti, Poltrana, Frau, Kristalia, and an Amuneal shelving system (above). 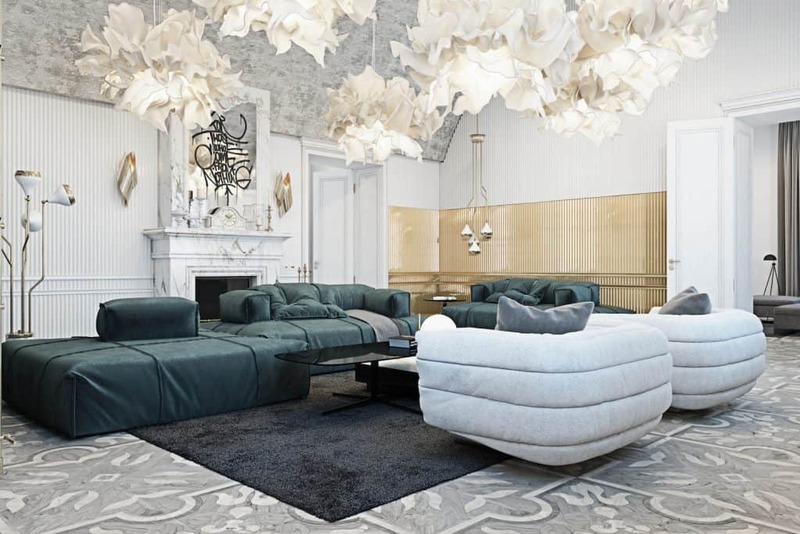 As young designers, Vitaliy and Iryna often work with minimalist, loft, and eclectic spaces. 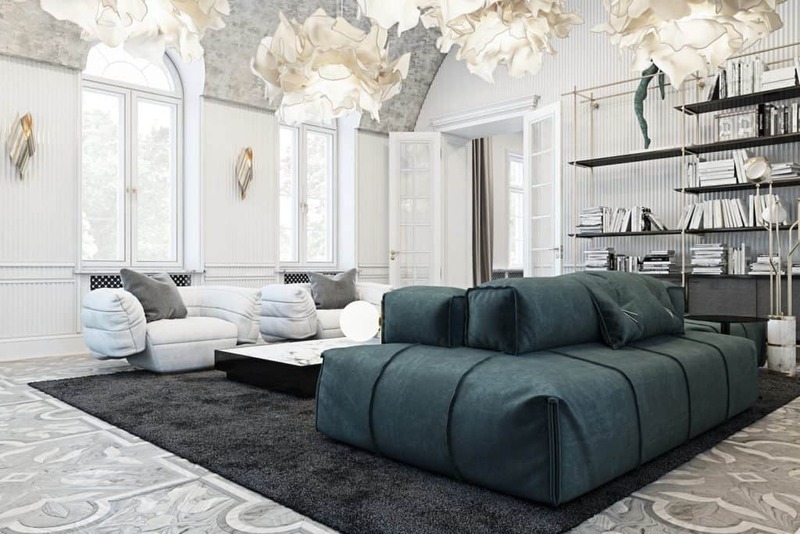 So the precision of this luxury Italian home was a challenge… and they rose to it magnificently. Dynamic and warm colours grace the dining room dominated by two Brubeck Suspension Lamps and the Brubeck Wall Lamps. These can also be seen in the bathroom. Working closely with each client, the brief is developed through careful exploration of wishes, lifestyle, and habits. 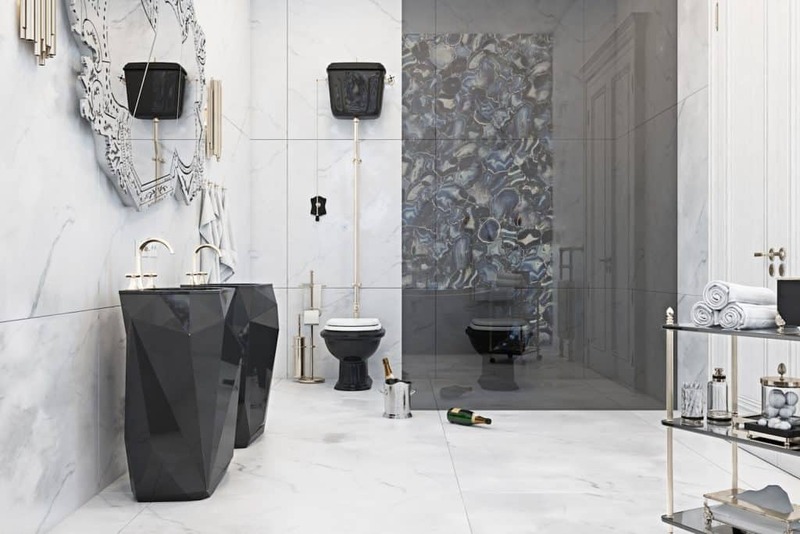 Although each project is highly individual, the designers always follow certain design principles.Interiors must be well-designed and comfortable spaces with aesthetics and functionality as inseparable. Whilst different styles, forms, and materials are mixed contemporary and historic techniques are used. 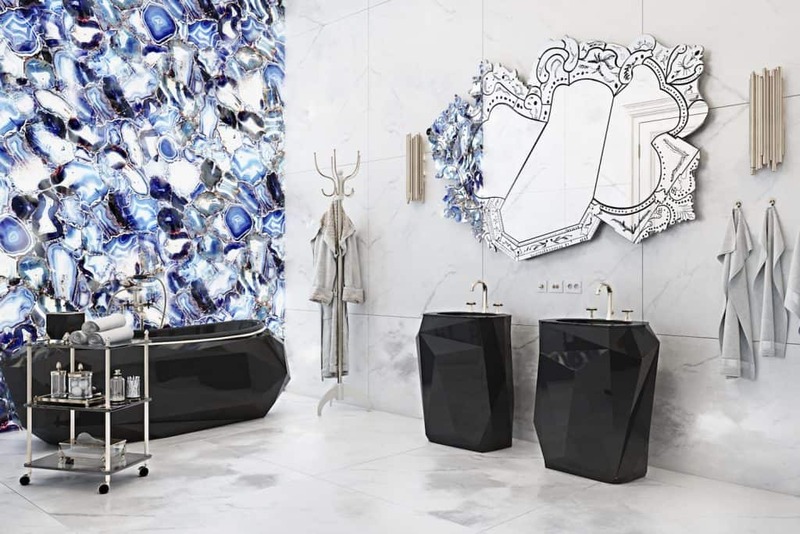 As seen in the dining room, the bathroom also has the Brubeck Wall Sconce as well as bath, vanity, mirror, and accessories from Maison Valentina and Boca do Lobo. 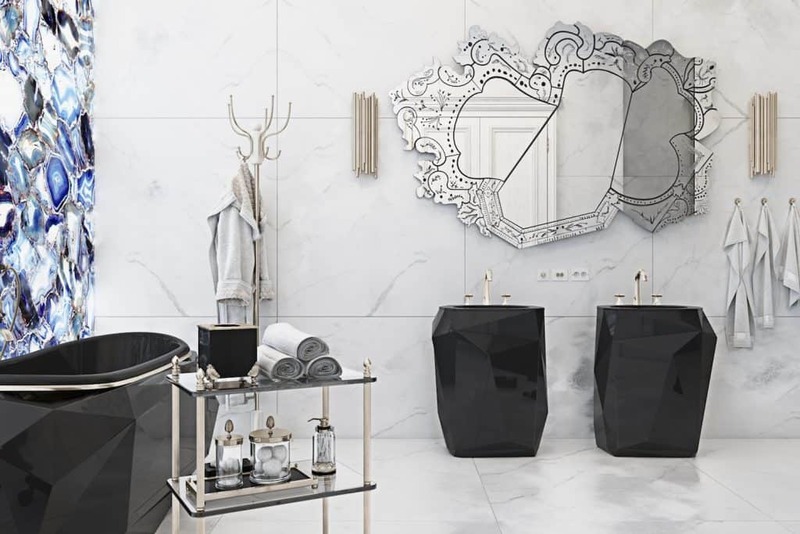 There are Maison Valentina baths featured here on Don’t Call Me Penny both for grey, gold, white decor and black and gold decor. Diff. Studio was founded by Vitaliy and Iryna in Kyiv, Ukraine, in 2015. 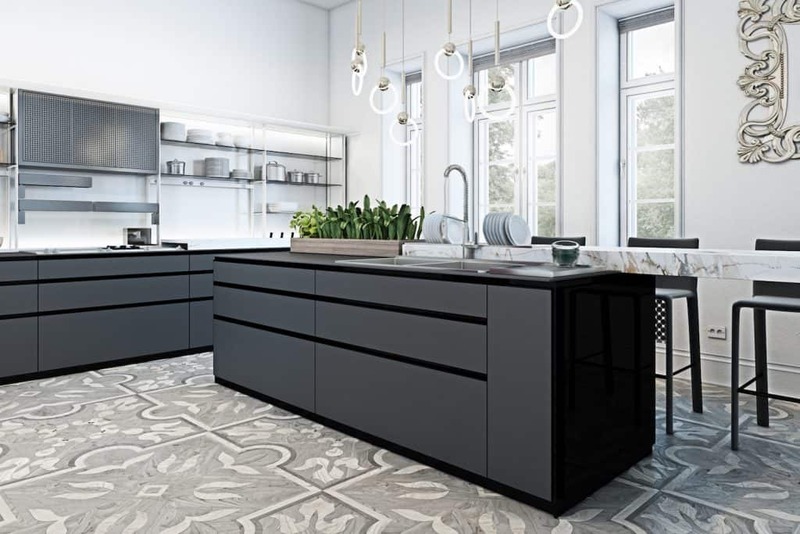 In such a short space of time, the duo has come to the attention of leading international media in the design sphere and appeared on the main pages of architectural portals. 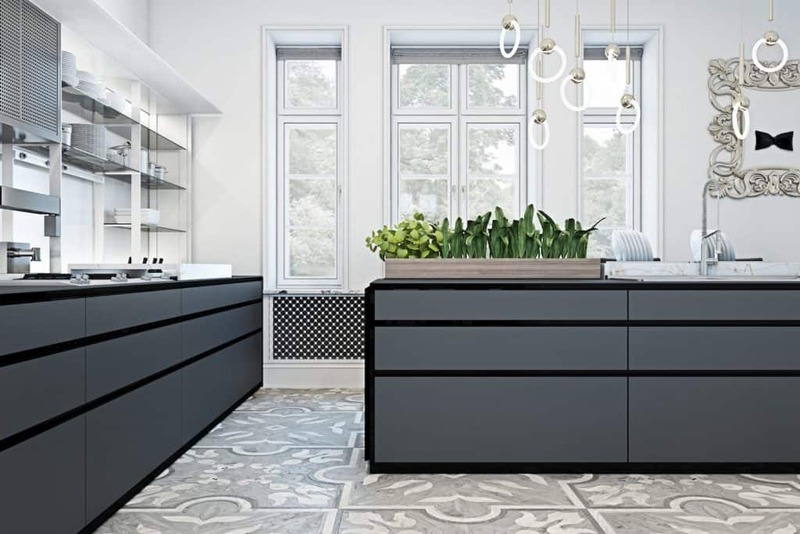 And what luxury Italian villa would be complete with a kitchen! This functional and sophisticated room features furniture by Valcucine. Don’t Call Me Penny has designer/trade access to all the brands featured here. If you wish to discuss the styling of your home, please feel free to Contact Us. 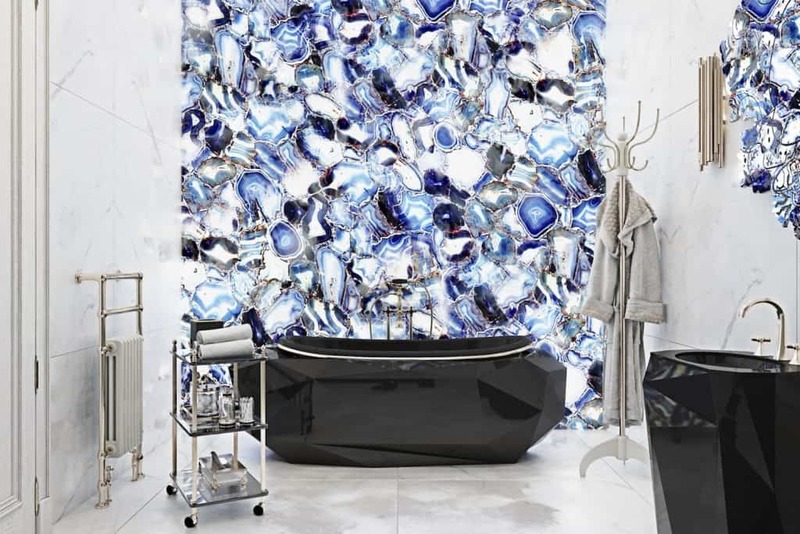 We would love to provide expert advice to help you design, redecorate, and style your dream home.